Dallas, Texas - Author Anthony Wynn and his partner, artist Adrian Flores, will attend the 14th annual Texas Frightmare Weekend at the Dallas Hyatt Regency DFW Airport in Dallas, Texas on May 4th. Special guests include Cassandra Petersen ('Elvira'), Lee Majors, Tim Curry, Robert Englund, Bruce Campbell, Meat Loaf, Jeffrey Combs, Kathleen Quinlan, and many others. San Francisco, California - Anthony Wynn and his spouse, artist Adrian Flores, attended Creation Entertainment's Star Trek "50 Year Mission Tour" on Friday, Saturday, and Sunday, December 9-11, 2016, held at the Hyatt Regency San Francisco Airport. Special guests included William Shatner, Walter Koenig, Brent Spiner, Jonathan Frakes, LeVar Burton, Michael Dorn, Gates McFadden, Marina Sirtis, John DeLancie, Terry Farrell, Nana Visitor, Armin Shimerman, Vaughn Armstrong, Max Grodenchik, Jeffrey Combs, Casey Biggs, Chase Masterson, and Hana Hatae. Portland, Oregon - Anthony Wynn and his partner, artist Adrian Flores, attended the fifth annual Rose City Comic Con on both Saturday and Sunday, September 10 and 11, 2016, held at the Oregon Convention Center in Portland. Special guests included Denise Crosby, Billy Boyd, Summer Glau, John Cusack, Joan Cusack, Grant Imahara, Stan Lee, and Peter Mayhew. Portland, Oregon - Anthony Wynn and his partner, Adrian Flores, attended Portland's other pop culture event. The convention was held at the Oregon Convention Center and featured a number of great celebrity guests, including: William Shatner, Cassandra "Elvira" Peterson, Matt Smith, Karen Gillian, Alex Kingston, Jewel Staite, and many others. Lexington, Kentucky - Anthony Wynn was able to attend two performances of his play "Bernard and Bosie: A Most Unlikely Friendship". The play explores the complex relationship between literary giant George Bernard Shaw and the poet Lord Alfred 'Bosie' Douglas (the intimate friend of Oscar Wilde) through their own letters to one another during the 1930s and 1940s. In an age of instant communication through e-mail and cellular telephones, this two-act play is a reminder of the intimate and old-fashioned art of letter-writing. It's a story about character and the ways in which personal fate is tied to the earliest years of one's life, and how the past can have a direct impact on the present. Produced by the Balagula Theatre Company of Lexington, Kentucky, performances were held on March 13, 14, and 15, 2015 at the Farish Theatre in downtown Lexington. Portland, Oregon - Anthony Wynn and his partner, artist Adrian Flores, were in attendance at the third annual Rose City Comic Con on both Saturday and Sunday, September 20 and 21, 2014, held at the Oregon Convention Center in Portland. Special guests included Sean Astin, Wil Wheaton, Ernie Hudson, Dirk Benedict, Wes Studi, Nicholas Brendan, Steve Cardenas, Gigi Edgley, Clare Kramer, Joe Pantoliano, Michael Winslow, Wes Studi, Garrett Wang, Michael Biehn, and Jennifer Blanc-Biehn. Los Angeles, California - Anthony was in attendance at the famed Hollywood Autograph Show on Saturday, April 20, 2013. The show featured appearances by one hundred classic film and television actors and a selection of vendors with movie and TV memorabilia. Actress and voice artist Corinne Orr (Speed Racer) was on-hand - her interview is featured in Conversations at Warp Speed. Other performers appearing included Angie Dickinson, Carol Lynley, Loni Anderson, Mamie Van Doren, Stella Stevens, and Tippi Hedren. The show was held at the Westin Los Angeles Airport. Seattle, Washington - Anthony attended the premiere comic and science fiction convention in the Pacific Northwest on Saturday, March 2, 2013. Special guests included Adam West and Burt Ward (Batman), Patrick Stewart and Walter Koenig (Star Trek), and many other guests. The event took place at the Washington State Convention Center in downtown Seattle. Portland, Oregon - Anthony Wynn hosted a book release reception, talk, and signing at the Q Center. The event featured Anthony's new book Conversations at Warp Speed, a collection of interviews with a number of actors associated with Star Trek and other genre-related work. Also appearing were local Star Trek aficiandos Carol Jennings and Marlene Daab, two Portland, Oregon personalities who feature in the book. The Q Center is located at 4115 North Mississippi Avenue in Portland. Admission was FREE and open to the general public. Burbank, California - Anthony Wynn hosted a book release and signing party for his new book Conversations at Warp Speed, on September 16, 2012 at 6:00 pm. The book features interviews with a number of actors and other personalities associated with the various Star Trek series and films at this convention. Producer and writer Eric A. Stillwell ('Yesterday's Enterprise'), featured in the book, as well as book cover designer and artist Ken Scott, participated in the event. 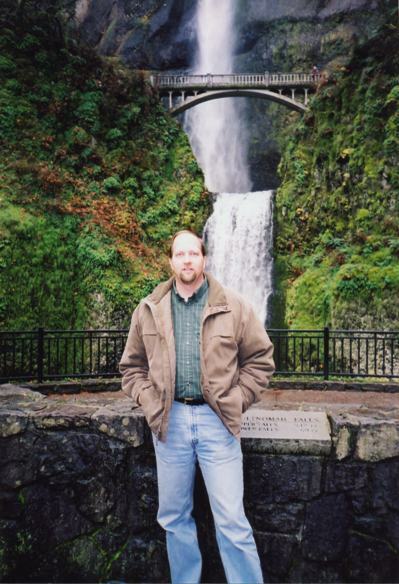 Portland, Oregon - Anthony debuted his new book Conversations at Warp Speed, which features interviews with a number of actors associated with Star Trek and other genre-related work. He signed books both days and participated in the panel presentation "Happy Birthday, Star Trek! with local Star Trek aficiandos Carol Jennings and Marlene Daab, two Portland, Oregon personalities who feature in the book, and Star Trek author Andy Mangels on Saturday, September 8, 2012 at 11:30 am. The Comic-Con took place at the Doubletree Hotel Portland/Lloyd Center, 1000 NE Multnomah Street in Portland. Photographer Melody Saunders of Portland, Oregon has published a book of images entitled Dump Your Therapist - Stick Out Your Tongue, by Maestro Press. 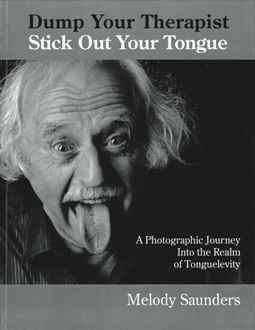 Anthony Wynn, along with actor Barry Morse and actress Grace Lee Whitney are featured on Page 80 of the book - and the rest of the volume is chock-full of local, regional and national celebrities... all of whom are showing off their beautiful tongues! Would you like to book Anthony Wynn for a presentation, book signing appearance, convention, or other event? Anthony welcomes your questions and queries. He has a multi-media presentation available on actor Barry Morse, as well as 30 and 60 minute multi-media presentations that include several of the performers featured in his new book Conversations at Warp Speed who have appeared in various incarnations of Star Trek.